Ageing is the most common cause of under eye dark circles. Dermal fillers for dark circles is a very common procedure performed at Tricity institute of plastic surgery Chandigarh. The procedure is done for dark circle removal as well as to camouflage puffy eyes or under eye bags. Dermal fillers are put in the hollow areas to smoothen out the discrepancies. 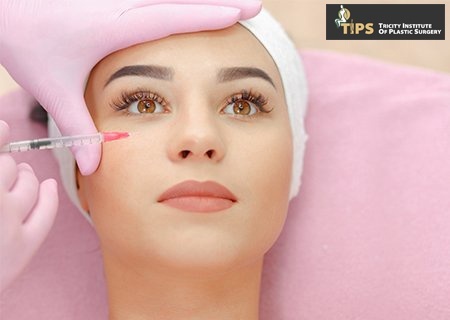 Dermal filler cost in India is relatively low as compared to the western countries.Side effects of under eye fillers are virtually none to a few days of swelling or minor bruising .These fillers can last up to two years thereby providing non surgical remedy for hollow eyes. In addition to fillers, dark circle creams are also given.